The Centers for Medicare & Medicaid Services (CMS) appears to have left little doubt that it is moving forward—as is—with its proposed new informed consent quality measure. Slated to be part of the Hospital Inpatient Quality Reporting (IQR) Program, the "Measure of Quality of Informed Consent Documents for Hospital-Performed, Elective Procedures" would assess hospitals' efforts to evolve the informed consent process. The goal is to encourage hospitals and health systems to ensure that informed consent is less of a paperwork formality and more of a shared decision-making collaboration between physician and patient. CMS clearly signaled its intentions in responses to public comments on the proposed measure released in August. The agency noted that the measure is not meant to be comprehensive right now. Instead, it is "intended as an initial step toward improving the informed consent process and represents a minimum requirement for optimal informed consent and shared decision making." Few HIM professionals are likely to be surprised that CMS wants hospitals "to ensure patients receive basic information in a written format which is understandable, legible, and presented with sufficient time allowed for questions and deliberation." The first two factors (understandable and legible) point to the need for more patient-friendly and procedure-specific consent documents. The third factor—time—is necessary to support fully educated, shared decision making between patients and providers. Fortunately, at the heart of the measure is an abstraction tool that HIM professionals can use to evaluate eight specific best-practice elements of their informed consent process. Essentially, the tool is a scorecard that helps organizations track their way to a maximum quality score of 20 points. For example, providers can earn two points just by ensuring that an informed consent document describes how the procedure will be performed. Another two points can be earned by describing procedure alternative(s) in the document. Hospitals that include the quantitative probability of a procedure-specific risk receive two additional points. Interestingly, the highest number of points for any one element correlates to timing; hospitals can earn five points if they show that patients sign the consent document at least one day before their procedures. That is especially significant given that CMS is considering requiring organizations to score only 10 points or greater for initial measure compliance. In other words, a score of 50% will likely be a "passing" grade at the measure's yet-to-be-determined implementation date. While CMS is setting a steep grading scale, the agency plans to grade on a curve—at least to start. The indication that the threshold score will be raised over time should make continual process improvement the name of the game for HIM professionals. • Make informed consent documents more patient- and procedure-specific. Given the sheer number of different procedures performed within a typical hospital, many organizations use automated solutions to simultaneously standardize and personalize informed consent documents. Combining comprehensive document libraries with patient- and provider-specific information supplied by the EHR lets providers generate detailed, patient-specific forms on demand. • Build in quantitative risk assessments. Use the time before the IQR quality measure is finalized to become familiar with strategies for calculating procedures' quantitative risk probabilities. The American College of Surgeons National Surgical Quality Improvement Program, for example, offers an online Surgical Risk Calculator that provides quantitative risks for more than 1,500 surgical procedures. By offering both quantitative and qualitative probability of risk, hospitals can earn three total points on the CMS abstraction tool. • Encourage early informed consent conversations along with documentation. This is arguably the toughest yet most valuable process improvement initiative that can be attempted. HIM professionals are well suited to help enable providers to document the informed consent conversations that have likely already been conducted with patients days or weeks prior to their procedures at the same time those discussions occur. There is an unmistakable takeaway from CMS' responses to the public comments: Implementation of the informed consent quality measure as part of the Hospital IQR Program is only the beginning. Evidence of larger goals for the measure can be found in CMS commenting that the measure "does not capture all aspects of the informed consent process or all aspects of quality related to patient engagement in shared decision making." The current measure, which adheres to National Quality Forum guidelines and standards, was developed at eight hospitals. It was then validated through testing at 25 additional hospitals. This unusual preimplementation rigor highlights the importance CMS places on the informed consent process. That sense of urgency for this critical process has been echoed among commercial payers as well. In the age of value-based care, it is clear that CMS believes the informed consent process plays a critical role in establishing a true shared decision-making experience between providers and patients. Hospitals and health systems stand to gain not only greater patient satisfaction from such an approach but also better consequences on the bottom line. 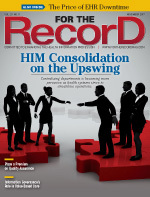 For example, a large 425-bed medical center reports improved care and reduced operating room start time delays though the use of an automated and standardized informed consent process. A separate study showed evidence of decreased medical malpractice risk when providers documented informed consent discussions in the office setting rather than a preop holding area. When informed consent becomes a true two-way dialog between patient and provider, the end results promise to be nothing short of reduced costs, enhanced patient care, and higher patient satisfaction. CMS plainly acknowledges that achieving "optimal informed consent and shared decision making" is not likely to happen overnight. Yet by helping organizations comply with the IQR quality of informed consent documents measure, HIM professionals can meaningfully support the first steps in this powerful transformation. — Tim Kelly, MS, MBA, is director of marketing at Taylor Healthcare.